The most vibrant metropolis on the Iberian peninsula, Barcelona is an electric city. It is full of charismatic buildings and it has a cosmopolitan section, great history, and amazing authentic food. You could spend weeks in this city and not get bored, but 3 days in Barcelona is what you need to see the highlights of the heart of Catalonia. Thanks to Antoine from Traveling Life for sharing is extensive Barcelona itinerary. If you’re wondering what to do in Barcelona in 3 days, look no further – we’ve compiled the ultimate Barcelona itinerary to help you see the finest parts of this European city. It has something for everyone: including some of the best food in Spain, quintessential buildings, intriguing neighbourhoods to browse and excellent museums. Today focuses on seeing the best sights of Barcelona and experiencing what makes this city tick, whether it be old or new. 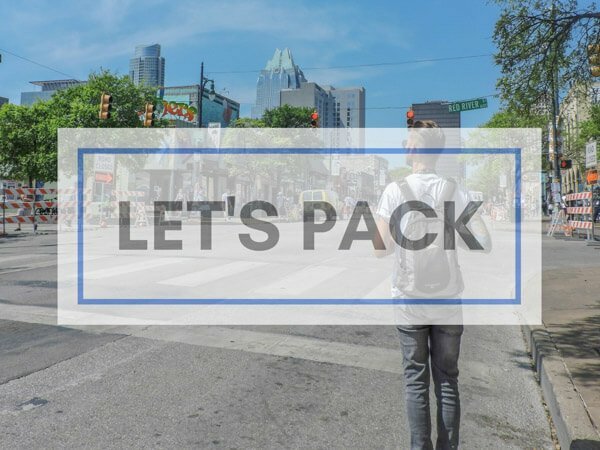 Day one is all about orientating yourself in this new city. Every time I go to a new city, I like to accustom myself by doing a few tours. Hop on hop off bus tours are my particular favourite; like many bus tours, Barcelona’s takes you around the best parts of the city. In doing so, it gives a great opportunity to learn about its culture and history while working out the distances between the best Barcelona attractions; and helping you make a mental note of which ones to return to. You could purchase tickets for the hop on hop off bus for just one day or for two; if you make the decision to buy the two-day ticket (which works out cheaper per day than just the single day ticket) then you can use the bus as transportation around the city on day two. If you only have 2 days in Barcelona this is a quick way to get around and see the main sites. The full open-topped bus tour will take up most of the morning, and you’ll no doubt be peckish after seeing all of Barcelona’s highlights; so take a walk down Las Ramblas, one of the city’s most famous streets. There’s so much to see in vibrant Las Ramblas, from the gorgeous architecture to the entertaining street performers. It also is lined with dozens of fantastic bars and restaurants which makes it the perfect place for lunch. An amazing architectural marvel, Casa Batllo was designed by Antoni Gaudi. The architecture has balconies resembling skulls and pillars in the shape of bones! The building is decorated in aquatic colours. It was used as the residence for the Batllo family, but has since been vacated and is now a museum dedicated to Gaudi, his life, and his works. Book ahead today for a Skywalk and entry ticket. One of Barcelona’s best buildings, Casa Mila is another fantastic Gaudi masterpiece. The building, which is also called ‘La Pedrera’, resembles a collection of stones – another quirky architectural marvel. It’s a fantastic spot to visit, especially if you’re into photography, and it’s great to explore inside as well. You can purchase a skip the line and audio tour with GetYourGuide before you arrive. Save time and skip the line. Set within beautiful stone buildings, you’ll love the serenity of the Museu Picasso; and will be enthralled at the interior, which contains over 3,500 artworks. It has a major emphasis on Picasso’s art before 1904; the museum was requested by Picasso himself. Day number two focuses on engaging into the heart of the city by enjoying a walking tour with a difference and seeing some of Gaudi’s best works. See some more of Barcelona on day number two with a walking tour. There are some general walking tours in Barcelona which introduce you to the culture and the history of the vibrant city – but as you’ve had that on your open-topped bus tour on day one, why not go for a tour that is slightly more niche? 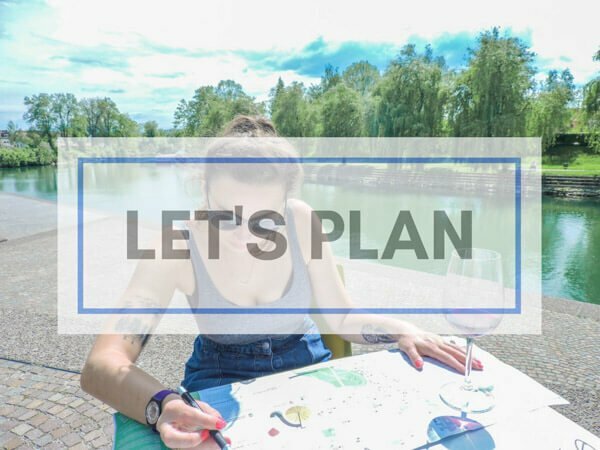 Trying a street art tour, a food tour, a photographic tour or a tour led by the homeless could help you see a different side to the city and understand it on a deeper level. One thing that you’ll see a lot of in Barcelona is Gaudi’s architecture. Park Guell, a UNESCO world heritage site, is maybe his most colourful architectural design. If you like quirky photo backdrops and funky statues, this place is for you! It also has impressive views of the city and beyond. A must-visit in Barcelona, this is Gaudi’s unfinished cathedral. It is a very famous attraction, and it is incredibly popular! Purchasing your tickets early means that you won’t be queuing; leaving you are free to make the most of your afternoon. Gaudi was the main director of the construction of the Sagrada Familia until he died in 1926. He was very particular about it, constantly requesting it be changed until it suited his exact vision! This means that nowadays, many people debate about whether the material used and style of the modern cathedral is what Gaudi would have produced. The controversy almost adds to its appeal as one of Barcelona’s top attractions, and it is a must-see when you’re visiting the city. Avoid the queues – book your queue jumper ticket here. This Barcelona attraction is a bit of a hidden gem – it is a former hospital, which means it does not attract the same crowds as the cathedrals and plazas! However, it’s a beautiful, peaceful spot and is loved by all who visit. This show-stopping modernist/art nouveau architecture was created by Lluís Domènech i Montaner, one of Gaudi’s peers. You can take a tour of the hospital, learning about its history, while admiring the artwork and gardens. It is a very peaceful place; exactly the kind of hospital you’d want to be sent to if you were ill! Here’s their website for more information. Use day three in the city to see a different side to Barcelona’s vibrant culture; The Gothic Quarter displays some of the best of the city’s history, while the Poble Espanyol demonstrates how it harmonizes with the rest of Spain. Plus, Montjuïc Castle is one of the most historically significant places to visit in Barcelona. The 2000-year-old Gothic Quarter is a must-visit in Barcelona, with quaint buildings and alleys, religious buildings and enthralling shops. Start your time in the Gothic Quarter by visiting the beautiful Gothic Cathedral – if you make it there before 12:45pm, admission is free. Or if you miss this time slot, entrance is by donation. Much of the Gothic Quarter can be enjoyed just by strolling around it, but the Roman Temple – Temple d’August – is well worth visiting as well. One of the best areas of the Gothic Quarter is the Jewish Quarter, El Call. The area is steeped in history and it is wonderful to walk around – don’t miss the old synagogue. There are lots of restaurants and cafes where you can grab lunch, including the oldest restaurant in Barcelona, Can Culleretes, dating back to 1786. Literally meaning ‘Spanish Town’, the Poble Espanyol is a must-visit for travellers to Barcelona. It replicates fifteen autonomous Spanish communities within 117 buildings. The open-air museum, which is 400 metres away from the Fountains of Montjuic, is one of the best things to do in Barcelona with kids to show them the intricacies of Spanish culture. Offering amazing panoramic vistas of the city of Barcelona, Castell de Montjuïc is a fascinating place to visit to learn about Barcelona’s culture and history. As Catalonia is a part of Spain with its own language and culture, it goes without saying that it has been home to a fair bit of turmoil throughout its history; and Montjuïc Castle has been in the thick of it. The view from the top is mesmerising, and the parts of the castle that educate you about different aspects of the city’s history are just as captivating. If you’re spending 4 days in Barcelona, or maybe even longer, you may be seeking for more things to do than offered on this itinerary. You might also be interested in learning of some specific activities that you can do with kids, in the rain, or as a couple. Here is a list of the best other activities to enjoy in Barcelona. 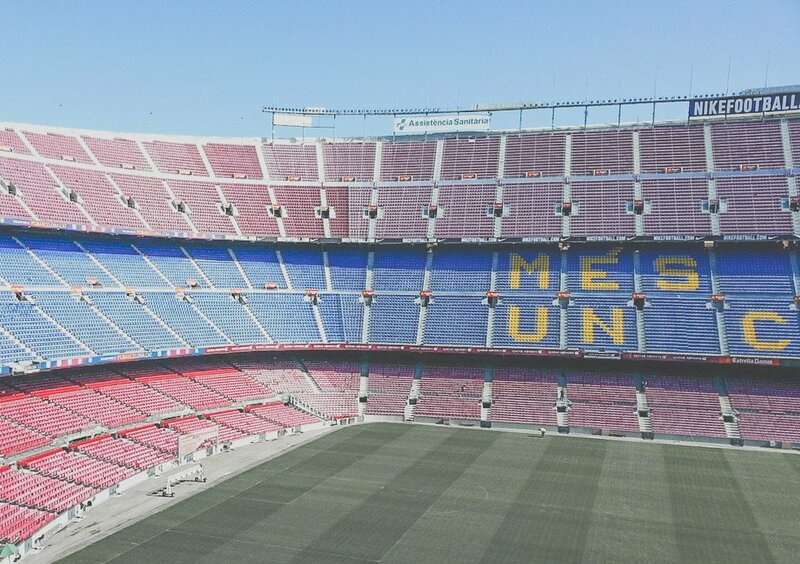 Barcelona FC Stadium might be top of the list for some, and it’s a great thing to do in Barcelona with kids if they are into football. You can take tours of the world-famous stadium, learn about its history, and buy merchandise. Tours of Tour Camp Nou take around 90 mins with access to the museum too. As with many historic cities, there are museums dotted all over Barcelona. Obviously, one of the best things to do in Barcelona in the rain is to visit one, or a few, of these museums. Whether you’re into art, history or culture, there’s something to suit you. Popular favourites are the Museu Maritim, Disseny Hub Barcelona and the City History Museum. If you’re visiting Barcelona with kids, the Cosmo Caixa science museum, the magic museum and the chocolate museum are great bets. It is easy to forget that Barcelona is a coastal city, but there are lots of beaches in close proximity to its centre. Barceloneta Beach is the closest to the city and can be accessed by metro, and therefore very busy during the summer. Icaria Beach is another beach accessible by metro. A bit further from the city (and a lot quieter!) is Sitges and Ocata Playa. And of course, from Barcelona, you can easily reach the Costa Brava and many of its secluded bays. Restaurant recommendations are always tough for a city, and for one as effervescent as Barcelona, it is difficult to know what individual interests are. The city has so many restaurants, from traditional Catalonian fare to tapas bars to vegetarian restaurants to burger joints. You won’t go hungry in Barcelona – popular tourist areas like Las Ramblas and the Gothic Quarter have great eateries on every corner – but do be aware that many places, especially more authentic restaurants, close for a siesta in the afternoon and do not serve dinner until late. Gemma from Two Scots Abroad’s friends have just opened a cafe/bar at Carrer del Roser, 3. Pop into La Piña Bar for a bikini sandwich and say hola to Selina and Jamie for her. There are hotels and hostels all over Barcelona, which are fantastic accommodation options. There is something to suit every budget. Yeah Barcelona Hostel – super modern and creative hostel with custom-made beds. Excellent central location. 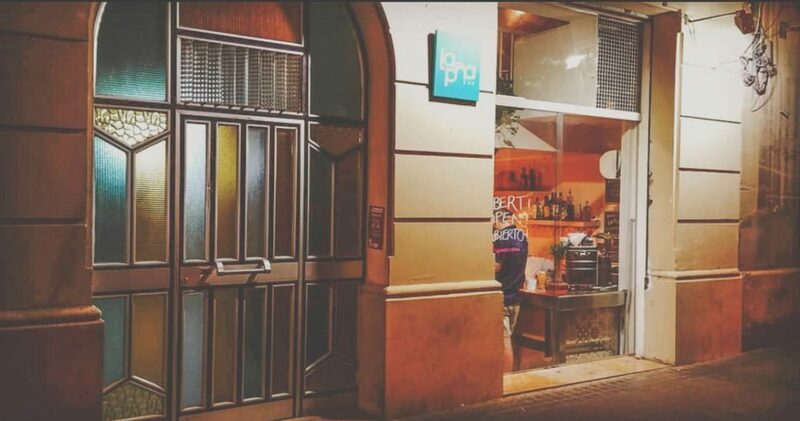 Ten to Go Hostel – relaxed hostels in the authentic Sants neighbourhood. Capsule dorm beds for privacy. Paseo de Gracia Bas Apartments – in the heart of Barcelona spacious apartment. Very modern. Exceptional reviews. Casagrand Luxury Suites – wow apartments with a rooftop swimming pool. Iberostar Paseo de Gracia – located on Plaça Catalunya Square, swimming pool and free parking available. Barcelona is easy to reach from all European cities; El Prat international airport serves flights all over the continent and to destinations in North and South America, Asia and Africa. 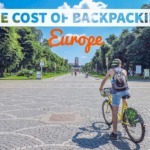 It can also be accessed by train from other cities in Spain and France; Barcelona is about two hours from Barcelona to the French border in the car. From the airport, you can catch the L9 Sud metro, the terminal 2 train or the Aerobus. Alternatively, check out this private airport transfer for under 40 Euro. Barcelona Metro connects all of the main tourist spots, and it is user-friendly. Uber has recently returned to the city fully licensed, and meter taxis are readily available. You can purchase the Hola BCN multi-transport ticket which gives you access to the metros, buses, and suburban trains for 2-5 days. For unreal panoramic views of the city don’t miss the Montjuïc cable cars. Barcelona uses the Euro. Check out today’s rates here. Most restaurants, accommodation and tours accept all major credit cards. There are a few tourist information points in Barcelona, the main one is located at Placa de Catalunya, 1708002 Barcelona, España. Don’t forget to book your travel insurance before you leave for your trip to Spain. We use True Traveller because it offers short and long-term travel trip deals as well as high altitude (not an issue in Barcelona!) and extreme sports. I claimed in Vancouver when I fell sick and they reimbursed my GP and physio visit promptly. Click here to see if their rates work for you too. Sant Jordi Day – the patron saint of Catalonia, Sant Jordi is celebrated on the 23rd April. BCN Beer Festival – held in March every year, this is Barcelona’s answer to Oktoberfest! Primavera Sound – this music festival takes place in early summer and has all sorts of genres. Sonar – this creative festival takes place in June and hosts some of Barcelona’s best electronic music, as well as showcasing artwork. Barcelona has an idyllic climate; its coastal position means that it rarely gets too hot, although some people prefer to avoid the middle of summer. July and August are school holidays, so if you are not going with kids, May, June, and September can be great times to visit. Barcelona is never freezing in the winter and is a popular city to visit for those escaping the cold of northern Europe. 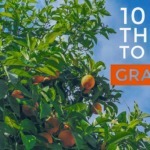 Click to read more activities to do in Spain during the summer months. Barcelona is rainiest in Autumn and Spring, but there is not much rainfall year round. Its hottest months are July and August when temperatures reach 30 degrees, and its coldest month is January – when the average is 13 degrees. One of the most common questions asked is ‘how many days in Barcelona’ and like most European cities the answer depends on what type of trip you are looking for. There are plenty of days trips from Barcelona if you exhaust the top attractions above. For example, Girona is one of the best towns near Barcelona, colourful Girona is home to an impressive Jewish Quarter, amazing Game of Thrones scenes and spectacular viewpoints over the city. Nature lovers won’t want to miss Montserrat! Take a beautiful mountain climb at Montserrat, an 800-metre high mountain with a monastery at the bottom. It’s a great spot to visit out of the city. Both could be considered if you had 4 days in Barcelona. There are two options for visiting Montserrat. Firstly, you can take the train, enjoy unlimited use of the Santa Cova funiculars and participate in a virtual tour of the Benedictine monastery in the Audiovisual Gallery with this Trans Montserrat return ticket combo. The second option is to visit by bus. 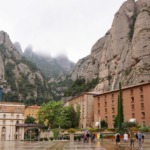 This half-day bus tour with Madrid Busvision not only visits the Montserrat Monastery but also the Benedictine monastery and La Moreneta, the 12th-century Black Virgin. Book your ticket here. 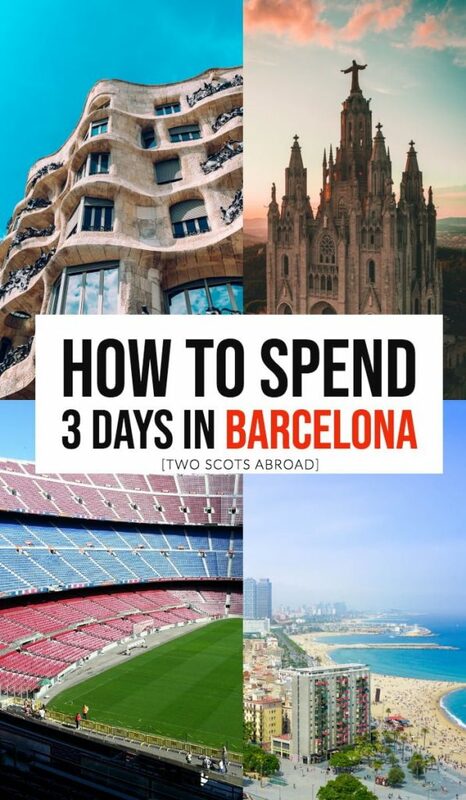 As you can tell from the above itinerary, the question – what to see in Barcelona in 3 days is an easy one to answer! From outstanding architecture to a variety of different tours as well as unique days trips from the city, Barcelona is a well-loved city trip for obvious reasons. I hope that you have enjoyed this itinerary. 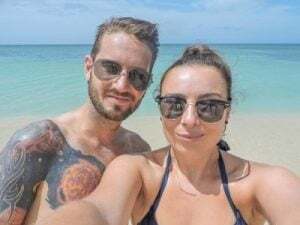 Antoine is a Canadian travel blogger who now lives in the Cayman Islands, where he works in marketing and travels as much as possible, both to local Caribbean islands and to destinations further afield. 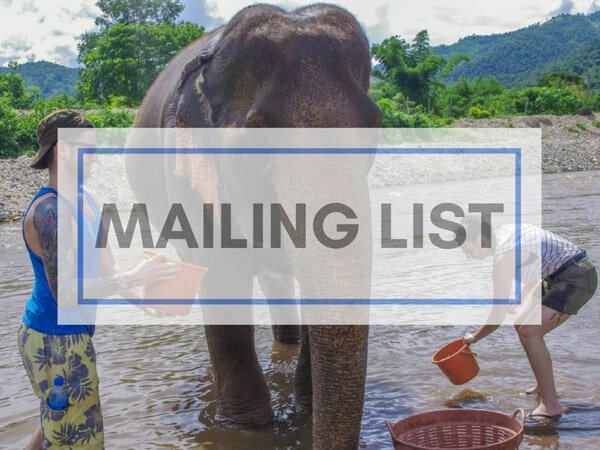 He has visited every continent except Antarctica and has experienced climatic and cultural extremes, and now he’s on a mission to show you the less visited side to places around the globe. 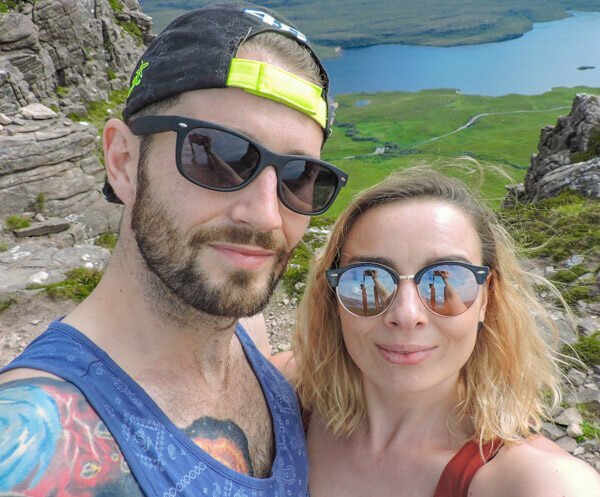 Follow his adventures on his blog – www.travelinglife.com – or find him on Facebook. 13+ Exciting Barcelona Day Trips – Escape the Heat! Hi, I was looking for some guide and tips to visit Barcelona. Your post gives me a clear idea for a short trip. Thanks for sharing awesome ideas and the suggestions. My wife did rave about the food in Barcelona and Spain in general. Hearty, filling fare. She flat out loved her time spent in this charming city and you did a fabulous job offering a 3 day itinerary. Rocking post Gemma. Such a varied city for activities for sure. Hi from TBEX in Ostrava! How is Barcelona at Christmas (end of December)? Would you recommend waiting until the weather is warmer (March or April), or doesn’t it matter what time of year you go? I am curious if there will be the same amount of things to do, ease of doing them, etc. in December rather than in the spring. Thank you!